HOUSTON - Joggers and bike riders have a beautiful new view of the Houston skyline to enjoy while out exercising. The Greater East End District unveiled the Brown Foundation Plaza Tuesday morning. It is an art-inspired pedestrian and bicycle trail just east of downtown Houston on Harrisburg Boulevard near Delano Street. 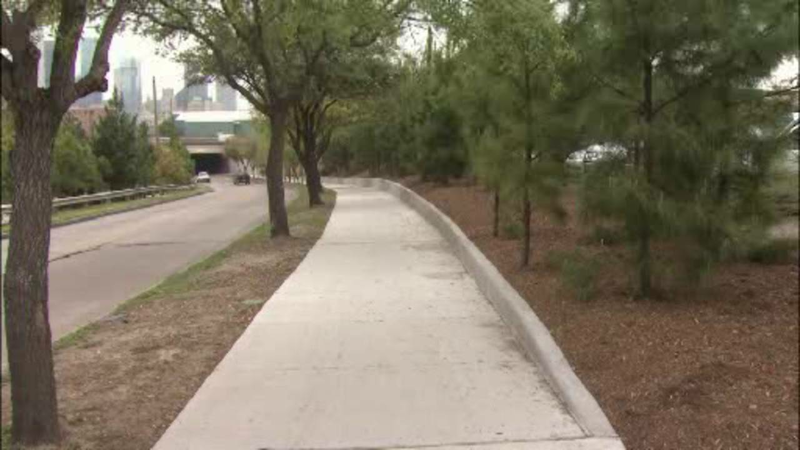 The plaza features $1.5 million in new sidewalks and trails recently constructed by Harris County Precinct 2. The plaza was built with funding from The Brown Foundation.